Unlike a visual scar or broken arm, it’s hard for people to notice when you have aches in your body. To make it worse, inflammation means more than dealing with wretched internal discomfort because the pain also affects your mood. Unless you verbally tell others about your situation, they won’t know you’re suffering. Fortunately, the first step in lowering internal pain and reducing inflammation is listening to yourself. When you understand your own warning signs, you know when the pain will get worse, how long it will last, and when you may need to contact our office. For pain that’s not as serious, but still makes you uncomfortable, there are several natural ways to ease your symptoms. Here are 6 methods for natural pain relief. Instead of only eating the majority of protein at dinner, like most people do, add protein to your breakfast and lunch, too. Also, consider munching on snacks high in protein like pumpkin seeds or mixed nuts. Why add more protein to your diet? Because protein helps detoxify the harmful chemicals flowing through your blood stream. Detoxification is key to decreasing abdominal pain. Thanks to catechins, natural substances found in green tea, one to three cups of green tea a day helps soothe your inner agony. 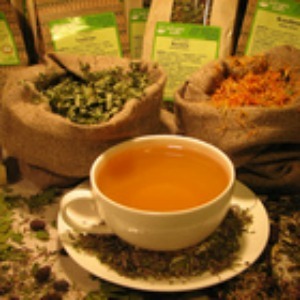 Because the antioxidant amount in green tea varies widely by brand, choose organic tea. Regular exercise is good for your body, but when you’re dealing with inflammation, intensive activity may be too much. This is why a blissful yoga session can give you the benefits of exercising, without extreme physical activity. Plus, the movements and breathing of yoga improve your digestion. Supplements are a natural way to reduce pain and inflammation. The right supplements ensure you’re getting the proper nutrients your body needs to stay healthy. You can find pain-reducing supplements on the Carolina Natural Health online store. If you need help choosing what supplements you should take, give us a call at (704) 708-4404. Several herbs and spices have inflammation-reducing effects. Consider cooking with, or increasing your intake of, the following ingredients: turmeric, garlic, cinnamon, cayenne, black pepper, and cloves. A little spice really does make things nice, so consider how you can add these herbs and spices into your day-to-day diet. At the end of the day, it is you alone who has to deal with your pain. Discomfort is physical and mental, and it doesn’t help when you have distractions in your life that stress you out even more. For clarity and balance, find a quiet place where you can be alone. To make the most use of your “me time,” don’t let yourself be readily available to anyone. This means turning off your cell phone, making sure no one can contact you, and removing yourself from as much distraction as possible. There are natural ways to deal with your discomfort. Contact us for a free consultation, so we can work with you and provide natural help.